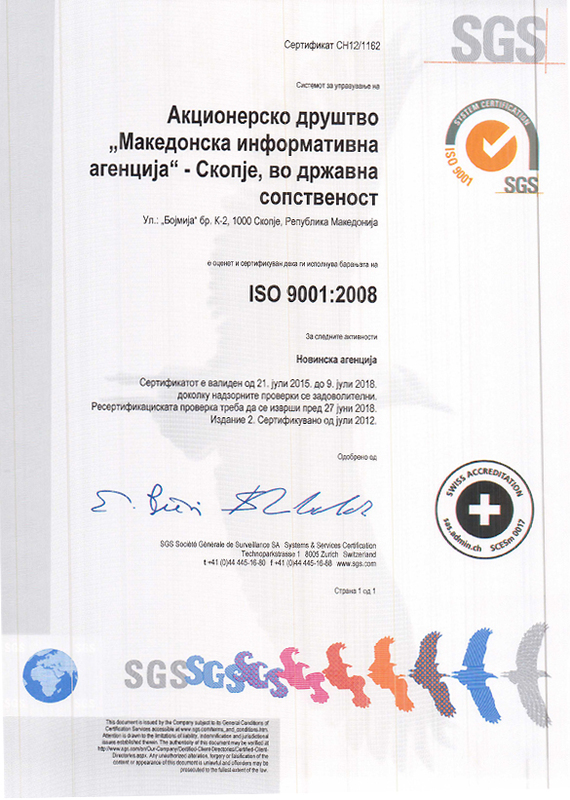 Around 20 exhibitors from North Macedonia are offering honey, beeswax, royal jelly, and other bee products and beekeeping equipment at the Beekeepers' Fair being held this weekend at Skopje's main square. 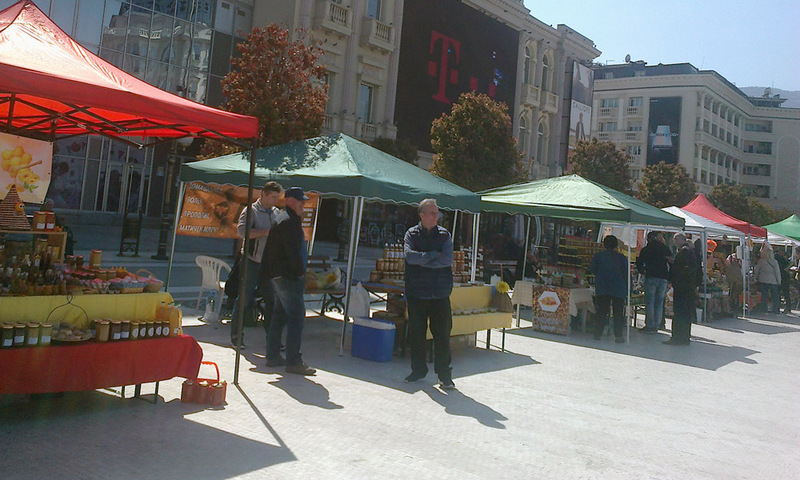 Skopje, 23 March 2019 – Around 20 exhibitors from North Macedonia are offering honey, beeswax, royal jelly, and other bee products and beekeeping equipment at the Beekeepers’ Fair being held this weekend at Skopje’s main square. 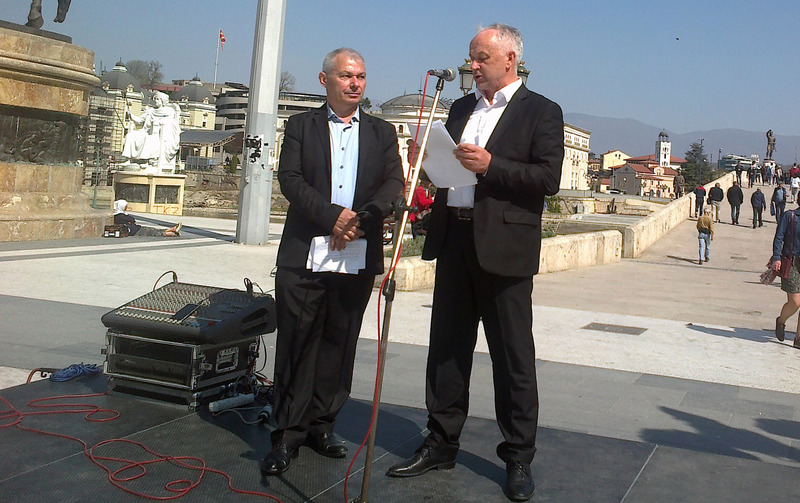 Deputy Minister of Agriculture, Forestry and Water Supply Blage Cvetkovikj opened the fair on Saturday. Over 240,000 bee colonies were registered at 6,000 breeding grounds across the country, Cvetkovikj said, citing figures from the Food and Veterinary Agency. To stimulate local producers, he said, the Ministry offers 50 percent higher subsidies for organic beekeeping. According to Beekeepers Federation president Jane Markov, beekeeping has become a popular pursuit. “There are beekeepers of all walks of life and all ages,” Markov said. But local honey, according to Markov, has become hard to come by. The fair’s offerings were the citizens’ best chance to taste the real thing, he said.